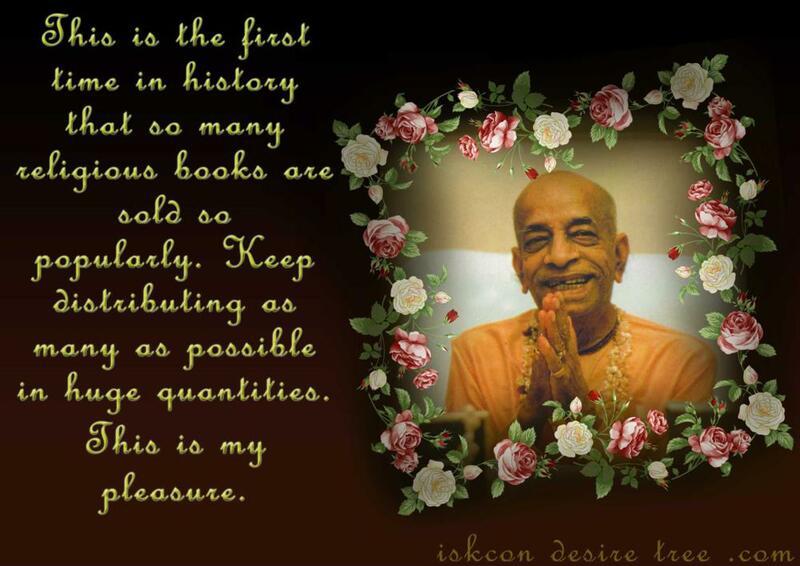 Chanting Hare Krishna With Mridangas and Kartals…. 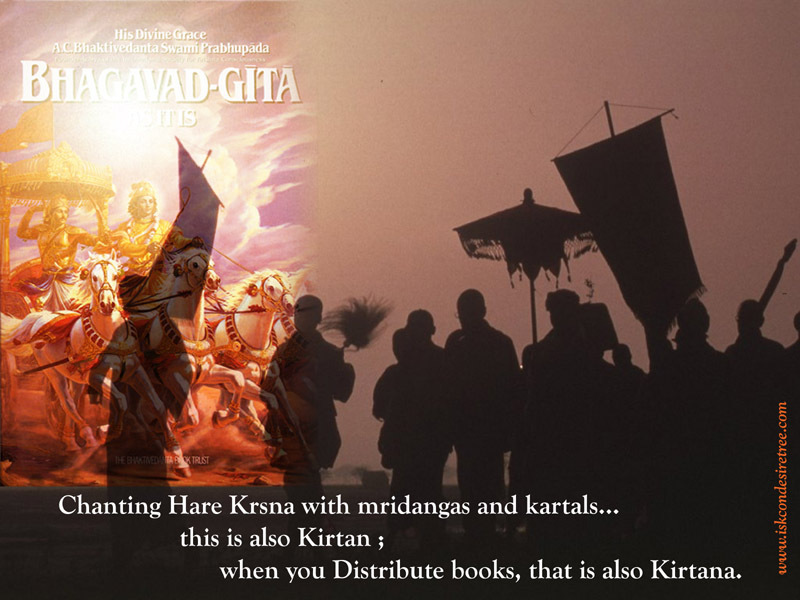 this is also Kirtan; when you Distribute books, that is also Kirtana. Books are the basis of our movement. 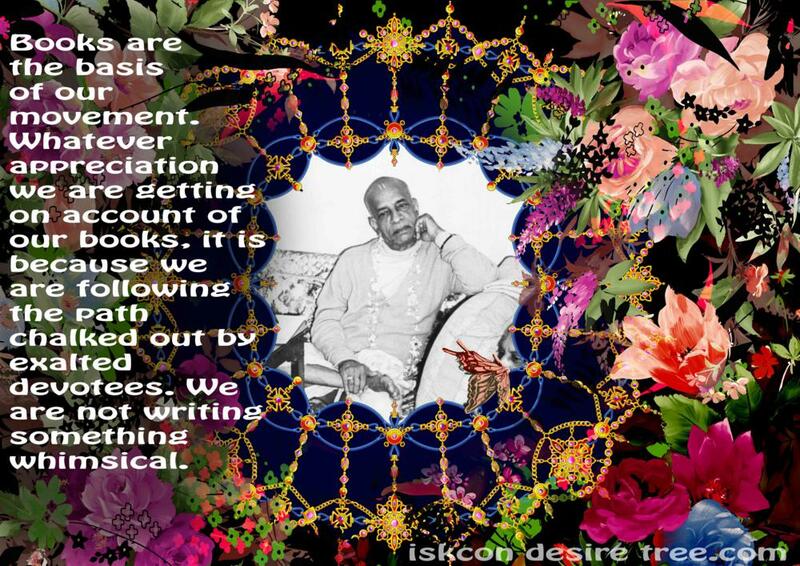 Whatever appreaciation we are getting on account of our books, it is because we are following the path chalked out by exalted devotees. We are not writing something whimsical. This is the first time in history that so many religious books are sold so popularly. Keep distributing as many as possible in huge quantities. This is my pleasure. 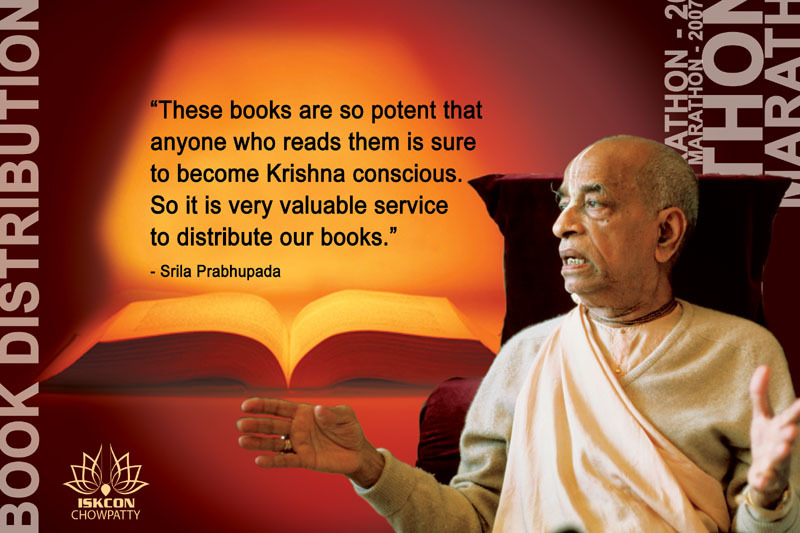 “There is no doubt about it: to distribute books is one most important activity. The temple is not a place for eating & sleeping, but a base from which we send out our soldiers to fight with maya. 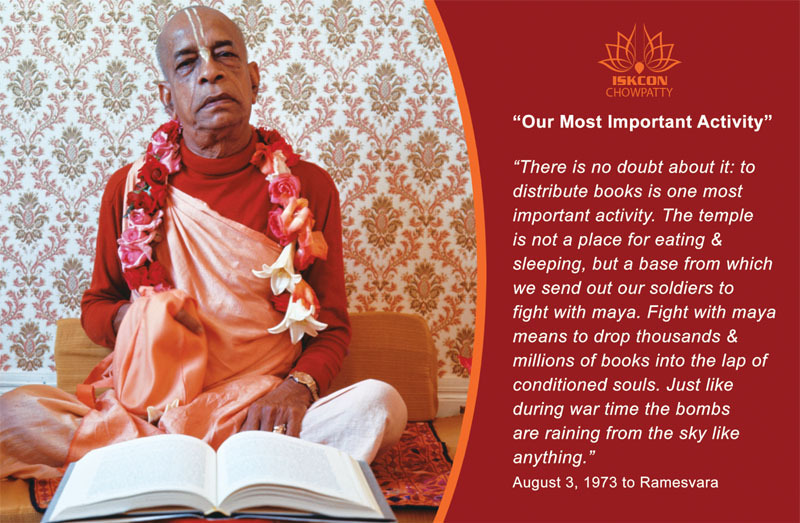 Fight with maya means to drop thousands and millions of books into the lap of conditioned souls. Just like during war time the bombs are raining from the sky like anything.” – August 03, 1973 to Ramesvara. 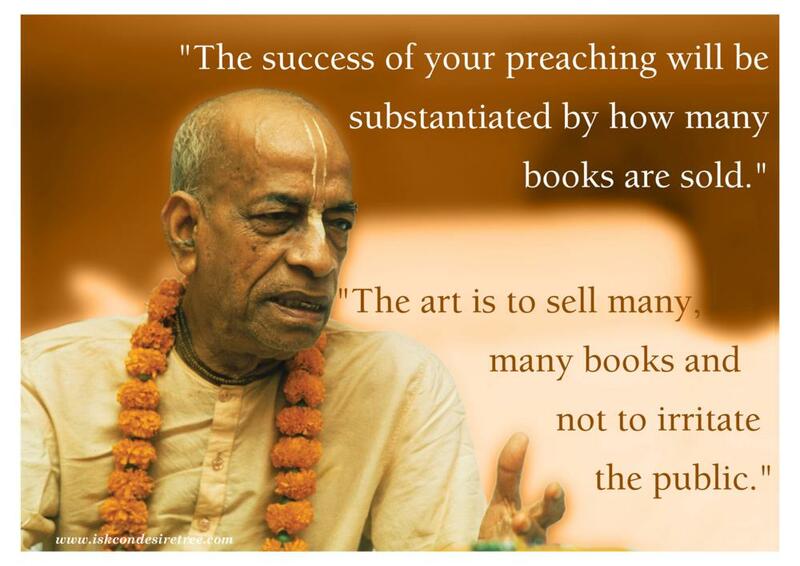 "The success of your preaching will be substantiated by how many book are sold." "The art is to sell many, many books and not to irritate the public."